Every service is incorporated with flexibility enabling them to evolve. This means that however you want to outsource services, we can design, develop and construct your project on budget and on-time. Work has started on an exciting new development from the Marshall Group; combining our quality self-contained apartments and one of the city’s most popular eateries in an iconic Liverpool building. The building in question was formerly the home of Hattons Model Railways, a staple of Smithdown Road since 1946, but since the company moved into new premises in 2016 the building had been in a state of disuse. However, 364 Smithdown Road in the thriving Allerton area of the city is now the site of another highly-anticipated Marshall Group property refurbishment. The conversion of the commercial premises will provide a shell core for the latest addition to South Liverpool’s thriving food scene, joining the influx of some of Liverpool’s best bars and restaurants. Lucy Kehoe, of Signature’s Liverpool, praised the recent developments in the area, saying that “a quiet food revolution has been brewing, turning the streets of Wavertree, Aigburth and Allerton into the top culinary quarter of the city”. We have also started work on five apartments coming to the first and second floors of the building; ideal for those who want to have the best that Liverpool has to offer right at their fingertips. As with all Marshall Group refurbishments, these apartments will be finished to a high specification using top quality materials. Even better, as we’re an accredited Living Wage Employer, property refurbishments carried out by the Marshall Group will benefit all involved in the development. As work continues on this exciting new project, make sure to keep an eye on this blog for more updates. 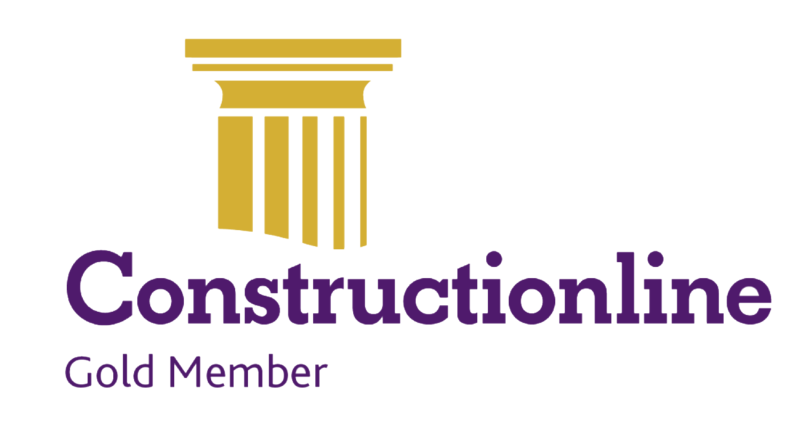 We are delighted to announce that we have recently achieved Gold Membership status with industry giants Construction Line. For anyone working with us, this ensures that we can avoid unnecessary red tape and expense while maintaining the highest standards of business management and ethics. As part of the Gold Membership criteria we are assessed for SSIP (Safety Schemes In Procurement), which makes cross-recognition between member schemes as effective as possible. This helps to remove unwanted cost and confusion from supplier health and safety assessments and streamline the whole tendering process. We have also completed rigorous extra validation checks of quality management, environmental management and ethical practices, giving our clients that crucial peace of mind. It guarantees that we follow the highest standards of anti-bribery and anti-corruption practices and adhere to the Modern Slavery Act. Marshall Property Construction offer property refurbishments and a range of design and build services for construction firms in Liverpool and the North West. With many leading companies now stipulating Gold Membership as a requirement of their suppliers, Marshall Property Construction again prove that we’re at the forefront of the industry. Managing Director, Paul Marshall, was delighted with the news, saying that “by achieving Gold status, accompanied by our other industry accreditations, we have streamlined the pre-qualification process for procurement and construction tendering and council frameworks”. A big win, both for us and for our clients. He added that it marks the start of an exciting year for Marshall Property Construction; “our aim for 2019 is to be as dominant in the public sector as we have been for a number of years in the private sector”. We're only a fortnight into the new year, but things are already off to a great start. Here at Marshall Property Construction we provide construction, maintenance and facilities management solutions as well as all services from outline proposals, scheme designs, surveys, planning applications, planning negotiations, working drawings and building control submissions. Our experienced and dedicated multi skilled workforce will then undertake the build from demolitions through to project completion. We have a proven track record of delivering a finished product to our client which is on budget and on time. As an established part of the Marshall Group, Marshall Property Construction bring their experience not only of 30 successful years in the construction industry but also using resources from its partner estate agency to deliver projects specifically tailored to target potential tenants in popular areas of the rental market (HMO, students, working professionals etc). We don’t just offer renovation & development services but also the ongoing letting, management or sale of a property or development. Turning a large house into a HMO would be easy using our services. Not only could we carry out the changes to the property, but the agency side of the business could then manage the property for you. You can sit back & let us do all the hard work. We can cater for all your property needs. Visit our website for examples of recent case studies on turnkey projects, main contract work and facilities management. Should You Invest in an HMO in Liverpool? HMOs (houses of multiple occupancy) are a popular choice for property investors. We look at why HMOs in Liverpool are a good place to put your money. Liverpool HMO Breakdown – Why Invest? Over recent years we have seen a soaring number of young people from the UK and overseas choosing to study in cities such as Liverpool. Due to the high demand, universities are struggling to build accommodation, many only offering first year students the option to stay in halls of residence. The constant housing demand from students has seen HMO living thrive and investors have been reaping the financial rewards. Investing in student HMO accommodation can be a sound investment. If you are happy to let to multiple individuals, the rental yields are known, in most cases, to be much higher than a single occupancy let. Most degree students study for 3 years, but this can be longer depending on type of degree or professional qualification. This means that you could potentially have a guaranteed tenant for a minimum term of two years (if they have taken the first-year hall of residence). Providing and maintaining high quality HMO living will not only ensure tenant loyalty but can result in recommendations, helping to maintain continuous cash flow. All investors hope for strong capital growth as well as a good rental return and with the city of Liverpool continuing to grow economically, property values are expected to increase. By investing wisely and maintaining your HMO property, returns should be favourable. University students that choose to study in Liverpool are rarely left disappointed. Liverpool offers students a more affordable city lifestyle while being immersed in history and surrounded by beautiful architecture. Who wouldn’t want to study in Liverpool? The Marshall Group offers a unique and bespoke HMO service taking you through the sale of a property, refurbishment into a HMO ensuring all relevant licenses are received then a management package to ensue we fill each room and provide you with maximum returns on your investment at the earliest opportunity. The Marshall Group which owns and operates one of Liverpool’s leading estate agents, has relocated its existing headquarters from Rodney Street to a state of the art building on Dale Street in the heart of the business district as part of its strategic growth plans. The refurbishment of the new high street office was overseen by group CEO Paul Marshall who brings 30 years’ experience in residential and commercial property development and management. He said: “We’ve invested a substantial six figure sum in the new headquarters for the Marshall Group in anticipation of current and expected future growth of the business across all disciplines. With further members of the Marshall Group now on the route to becoming chartered surveyors. We look at the importance of being chartered and the benefits a company and client will receive with having the services of an inhouse chartered surveyor at their disposal. So first, what exactly is RICS? RICS stands for the Royal Institution of Chartered Surveyors. It is the international body who regulate and train chartered surveyors and other property professionals across many countries. Surveying may not seem like a glamorous job, but it is vitally important for everyone’s safety. If our surveyors don’t do their jobs properly, we end up working and you end up living in and around potentially unsafe buildings, not to mention the money that could be lost through buying and selling unsound property. Why do I need a RICS surveyor? The benefit a client receives by choosing a company with a RICS surveyor is that they will have complied with the “RICS Rules of Conduct” which consists of a set of strict rules and regulations. This prevents them from performing less than standard work and means that you get exactly what you pay for – an in-depth and precise quality survey. Why do we need a RICS surveyor? The Marshall Group employ both Building Surveyors and Structural Engineers and all our Chartered Building Surveyors are members of the Royal Institution of Chartered Surveyors (RICS). This ensures our Building Survey Reports are comprehensive and will never need referring to a Building Surveyor or Structural Engineer for further investigation at a further cost unless in the unlikely event that opening of further areas is required. Why is Facilities Management Important? Facilities management (FM) is the strategic answer to the challenge of running a business premises. Piecemeal approaches – in which the business tries to source separate maintenance, cleaning and repair services – are time-consuming, expensive and patchy. The commissioning of different contractors often leads to turf wars, with one contractor claiming a problem is the fault of another. For commercial landlords, a fast response to urgent calls is essential. The landlord’s tenant may be unable to trade if a pressing maintenance problem such as a leak can’t be dealt with immediately. This may lead to claims for compensation from the tenant’s business. However, while facilities management can provide a fast response in an emergency, a good management company takes a much more forward-looking view of its services to the client. The company will survey the premises, looking for potential problems, so that they can be fixed before they threaten business continuity and produce large repair bills. A good FM provider will make sure the business is meeting its health and safety obligations in terms of safe facilities and a clean environment. It will be able to offer strategic advice on managing the risks to employees and the public, inherent in running a building. In addition, they will be able to make a repair, re plaster, decorate, deal with blocked drains, clear the gutters – the list is endless. Every one of these is a job that the business would otherwise have to spend time managing and supervising. The trouble is that the managers who must do this have no expertise in building maintenance, and they are usually doing it as part of a general management job. However, FM solves this problem by bringing in experts who have managed hundreds of commercial sites and buildings to take charge of yours. Get in touch with The Marshall Group who can help you with your Facilities Management problems.